to wish everyone a Happy Halloween! To Celebrate InetBet Casino is giving away 4-$20 free no deposit chips! the Goblin's Treasure images below! 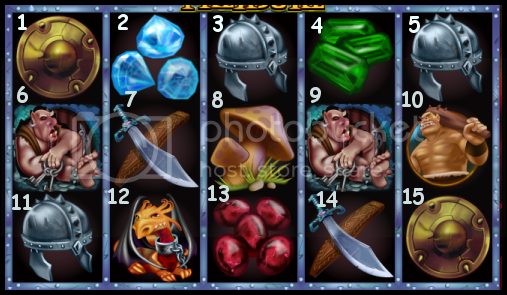 Goblin's Treasure is a 5 reel 25 line slot which is powered by Real Time Gaming. goblin's castle, gemstones, ogres, toadstools, book, helmet, shield, knife and a dragon. *INetbet Casino reserves the right to deny any free chip. Never played at InetBet Casino before? credited to your iNetBet personal Casino Account. Good luck Kdal29 and lugggnuttt!